#TalkAboutItTuesday The Working Mother Balancing Act. On #TalkAboutItTuesday, I post topics of interest to me for discussion and answer ANY questions you have on ANY topic. This was a question I received a few Tuesdays ago, along with my answer. Catherine: Where do you find the time to write, work and have a life too? 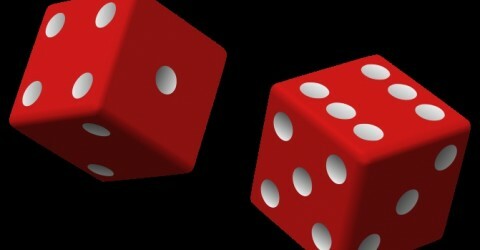 Dicey: Hiya, Catherine! I do what I have to when I must, and carve out time to do what I really like to do when I can. That’s Greek for–I don’t have a life. More specifically, my husband and I have a legal practice, so my work time is more flexible than it would be if I worked at a legal firm for someone else. I work as many cases or as few as I can stand each month. That involves more paperwork and computer time than most would desire and a few court appearances. During this summer, both of my children (3 y/o and 5 y/o) have been home with me. With them as my priority, my caseload slackened a bit and my writing time dwindled to nothing at all. I wrote my first few books with one or both of them at home with me, but I prefer to write without constant interruptions. When they go to bed during the school year, that’s when I normally write. However, I’ve been so worn out this summer, I usually find more relaxing things to do in the late night hours. It’s like that sometimes. Sometimes I can balance my responsibilities better than at other times. Since writing isn’t just something I enjoy doing but also something that helps to maintain my sanity, I have to be more strategic about when I get it done. The way I make sure I write and finish my books is by setting deadlines. Though I haven’t written much this summer, I know that I plan to have the next book published by Oct. 31st. That means, come hell or high water, it will be done. As the days of no writing tick away, I have that deadline at the forefront of my brain, which means the moment my children go back to school, and my days are my own again, I will be hitting the manuscript hard. Working late into the night. Around the clock. Drinking energy drinks to maintain the energy necessary to get it all done. But it works. I have yet to miss a self-imposed deadline. My life? Other than spending time with my family, watching TV shows/movies, working out, and reading books, I don’t do much else. Every blue moon, I’ll hang out with my girls. Sometimes I go to a social event or even host one. That’s it. I’m happy with it…just wished I was able to travel internationally. So I squeeze it all in by prioritizing. The things I MUST get done, I schedule. The things I want to get done, I make time for, usually late at night, burning the midnight oil. Sometimes, I multitask (reading while on the treadmill, cooking dinner while watching The Vampire Diaries, typing this FB response while my children brush my hair and scream in my ears). I imagine this is the same type of balancing act all working mothers have to do. The question is now directed to other working mothers. How do you balance your many roles and tasks? 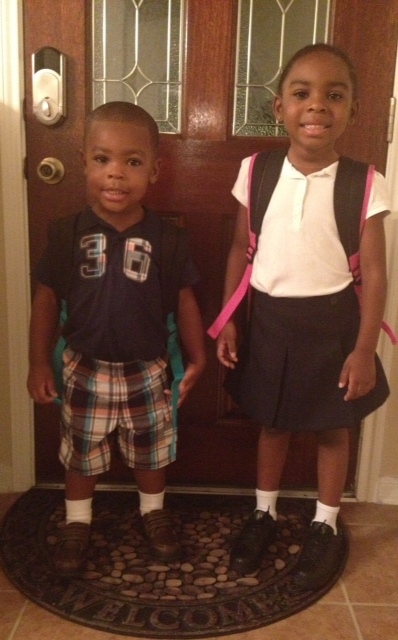 On another note, my children went back to school yesterday. YAY! Now, I’ve got to get back on my work and writing grind with more intensity. Self-publishing is not a last resort for me. It is my chosen path. I didn’t shop “SLEEPY WILLOW’S BONDED SOUL: The Narcoleptic Vampire Series” to a bunch of agents and publishers then decide to publish it myself because of form rejection letters. No, I grabbed my vision by the horns and ran with it. I researched. I studied. I researched some more. Then I had an aha! moment where everything clicked and I knew exactly what needed to be done. With the technology available (e-readers, online social networking, drop and drag website development…), I figured I’d be silly not to publish my own books. I could put a query together and spend the next few months sending it out to the-powers-that-be then waiting another six months for responses. If someone happened to request a partial, I could send it to them, wait for them to request the full manuscript, send it, then wait another few months for an okay. Then I could negotiate and haggle about contract terms. And wait another year for my book to be released according to an editor and publisher’s specifications. Or I could do it all my way. In my time. Yes, there’s more work on my part to make my books professional. I have to go beyond simply writing an awesome story. I have to edit it like there’s no tomorrow. Then I have to have an eye-catching cover that still accurately represents my work. And I have to have everything formatted properly for digital copies and for print. And I must have a great printer and distributor. After that, I have to put it all together and come up with one hell of a marketing campaign to make sure everyone knows about my work. But I don’t mind. If I had a large publishing house backing me I’d still have to promotemy work on my own. There’s really no getting around that if you want to sell books. Sure, I could lessen my workload by contracting some of it out. And when I have a mind to, I do. I hire only the businesses and artists I choose. Yes, there’s a lot of work involved, but that’s probably not the reason self-publishing isn’t more popular yet. Some people still feel the only legitimate books are those published by known publishing houses. And maybe once upon a time that was true. But just like the typewriters those old books were written on, that legitimacy idea is now antiquated. That was the first thing I had to do–get it out of my head that the traditional publishing route was the only “real” route. The only one that would validate me as an author. That’s just not true. My research indicated self-publishing is the way of the future. In fact, many successful, long-time authors (like Holly Lisle) are now turning to self-publishing their works. This is what she had to say, “After years of publishing my fiction through big commercial publishers, with thirty-two novels sold to the big New York houses as well as to international publishers around the planet, and with more than a million books in print, I have decided to move to self-publishing my fiction.” Click here if you’d like to read more. I don’t blame anyone else for getting an agent and shopping to publishers. I’m just grateful to live during a time when I have other options. Where my dreams can be realized without jumping through anyone’s hoops but my own. The thing that validates me as an author is when someone buys my book and enjoys it.